Laan Tulips > Laan Tulips News > First tulips of season 2016/2017 showed themselves! The first tulips of 2016 showed themselves already in our greenhouse. Just a few more weeks from now and we will be in full production. 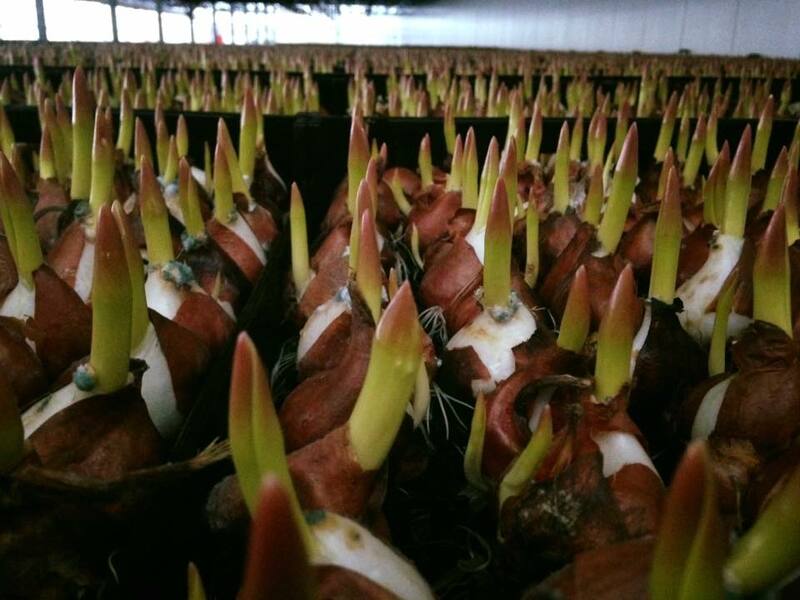 Did you know that the bulbs we use to grow tulips in Fall are coming all the way from New Zealand? This way we can guarantee a higher quality tulip flowers! I hope you are as excited to see our first tulips of season 2016/2017 as we are!